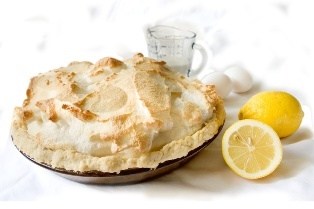 Lemon Meringue pie has always been my favorite pie. I have always wondered, however, how a lemon pie tasted so sweet and flavorful when lemons are so sour. When I was very young, I realized that lemons were very sour. I didn’t like the taste, but I the smell of fresh lemon was wonderful. Every time I smelled a fresh lemon, I would forget how bitter and sour they tasted until I tried them again. Lemons, like many life’s trials and tribulations (as my Grandmother would say), we keep trying over and over again to make things perfect. Make them feel, smell, and taste delightful. If that didn’t work we add some other ingredient or nectar to the mix to and see how that works. Eventually, with just the right dash of this ingredient, and less of something else, we usually make our lemons, or our life, into a respectable, if not outstanding, pie. Perfection, one hundred percent of the time, is impossible to achieve in life or when baking. Making a pie is a good example. There are just so many different variables that can go wrong making pies. The crust can be too sticky or crumbly; the filling can be too thin, thick, or lumpy, instead of smooth and creamy; or too tart or too sweet. The oven thermostat can be out of whack and the pie can burn or be undercooked. Life also has many different variables as well. We are not living in a bubble, our interactions with people and things are just a few of the obstacles that cause lives many challenges. Because we are social beings and interact with our peers in many different arenas; family, school, sports, play, work, marriage, and so on. Every time we relate to people in different environments there is something new that gets thrown into the mixture. Just one more ingredient that may make the perfect pie or not, we just don’t know but we have to try it before we make any judgments. There were times that the pie was too sour or too sweet, but with all the opportunities that life presented to me over the years I have had many chances to make it perfect. In creating my ‘life pie’, and I know many of you will agree, there have been many different life events mixed together, kneaded, pushed and pulled, and rolled out; at times too thin and sometimes too thick. If handled too much, the crust sometimes became too tough and nothing could penetrate; or too thin so it broke apart or crumpled, and needed to be patched together many times. During the course of trying to create my perfect ‘life pie,’ I learned that the challenge was always to discover the right ingredients and correct proportions in order to correct or alter the way ‘life’s pie’ turned out. Ingredients and proportions changed along the road to my perfect life. Perfection however, is never going to be achieved. I am always search for something to make my pie just perfect. So after many years searching for the perfect ‘life pie,’; I am going back to my childhood to the advice my Mother and Father gave me; “just do your best, “ and when I did I knew they loved me and I would be all right.